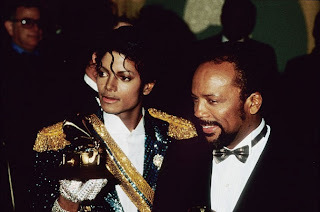 1984 - Michael Jackson poses with Quincy Jones and their trophies at the 26th annual Grammy Awards, Los Angeles. 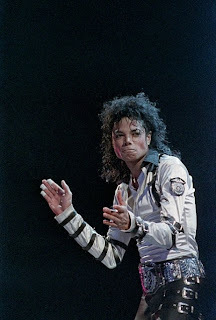 1988 - Michael Jackson performs onstage in Kansas City, Missouri, during the Bad tour. 1984 - CBS threw a huge party at New York’s Museum of Natural History for 1,200 guests to celebrate the mega-million success of Michael Jackson’s Thriller. Jackson and Brooke Shields revel at the museum.